I had the honour of attending a keynote presented by Dr. Gordon Neufeld a few weeks back. Dr. Neufeld’s work focusses on “attachment” and the power of relationships in the development of a child. We know intuitively that when a child has a strong bond with a parent, a teacher, or another trusted adult, they will do almost anything for that person. We also know that when that attachment is not present, children can be defiant, do the opposite of what is requested, and start to orient themselves towards their peers. One of the most profound statements Dr. Neufeld made during his keynote was, “We have to win our students back!” This statement resonates for me because I increasingly see students in our schools who we have clearly lost. There are a few reasons why I think this is so. In these times of increased accountability in education and with teachers saddled with the overwhelming pressure to “cover the curriculum” and prepare for standardized tests, school has become irrelevant to many students and disconnected from their reality. For these students, school is tolerated, school is something that is done to them, and school is something they try to survive. In fact, as a teacher reflected back on his schooling experience during a recent conversation I had with him, he said, “I didn’t really enjoy elementary or high school, and when I got out…” His words struck me. He was talking about his schooling experience as if he had just finished his prison sentence. He then went on to share that his educational experience changed after high school because then, he actually had some input regarding his learning. We clearly need to do a better job of incorporating student passions into the work we do in schools. Students do a tonne of incredible learning on their own, but because it doesn’t take place between 8:30 and 2:30 at school, we don’t seem to value it. Learning that takes place at school represents only a small percentage of the learning a child does. A great example of this phenomenon is the recent fine arts performance at Cambridge Elementary titled, “The Sorcerer’s Apprentice”. This play was about a magician and his assistant. Several times, the magician would send his assistant off with a task, such as preparing props, or finding items. Each time, the assistant would get side-tracked practicing and learning magic tricks because in reality, the assistant really wanted to be a great magician as well. The assistant learned so much each time she was sent off to do a task, but inevitably, the magician would return and become very upset because the tasks were never completed and because the assistant appeared to be doing nothing. I couldn’t help but feel that schools are very much like the magician in this play. We seem to think the learning opportunities we provide are the only ones that are valuable. The good news is that at the conclusion of the play, the Sorcerer acknowledges all the learning the apprentice had done and agreed to include one of her magic tricks in the performance. We need to make sure learning is relevant to students, places value on student passions, and that students are given the opportunity to learn through play. Another reason “we have to win our students back” is that in our frenzy to “cover the curriculum”, “teach content”, and be accountable, we have lost sight of the fact that children need to be connected to people who care about them. Dr. Neufeld stated, “humans don’t do separation.” If a child comes from a busy home with working parents, has no other adult to attach to, and is surrounded by teachers who only focus on delivering content, that child will quickly seek help from people who are unable to really provide that support – peers. Dr. Neufeld shared that all children need to have a “home-base” at school and that person needs to be a caring and trusted adult. The Kiva Project that our class has been working on has been a huge success. Our two-day freezie sale earned $684. Our 5-Hour Famine, which we held today earned $931! For our 5-Hour Famine today, our class watched the documentary, “On the Way to School”, a film that examines four groups of children in developing countries, and the challenges they face with their journey to school. You can view a trailer of the film here: https://youtu.be/eIsQ0B43Q9Y I encourage you to ask your child about it. Our class was very engaged with this film and there was some rich discussion afterward. 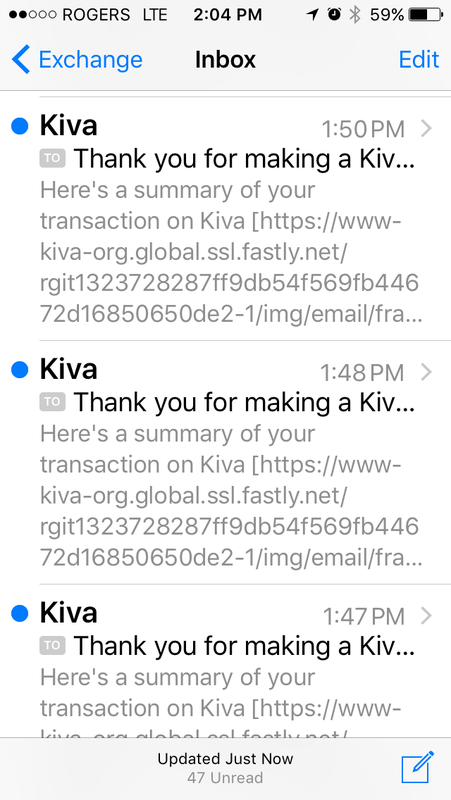 In the afternoon, we were able to loan out another $150 through Kiva. Thank you so much parents. I am really stunned and moved by the outpouring of support. I have never done a class project with Kiva, and I couldn’t have asked for a better school community to work and learn with. I really do appreciate it. Every student had a hand in something towards this project and should truly feel proud! 6-Division 23 Honeybee presentation – 8:45-10:00 a.m.
6-Division 26 Honeybee presentation – 10:15-11:30 a.m.
6-Year-end Grade 7 Band Concert – 12:45 p.m.
7-Floor Hockey – Grade 6/7 – Team 1v3 – 12:00 p.m.
8-District Track Meet at Bear Creek Park – 8:30 a.m. – 5:00 p.m.
9-Floor Hockey – Grade 2/3 – Team 5v7 – 12:00 p.m.
SCROLL TO THE BOTTOM OF THIS BLOG POST FOR A FULL LIST OF UPCOMING EVENTS. In addition to providing the school supplies itemized on a grade list, parents are periodically asked for monies to cover specific items and/or special events. The intent of these requests is to enrich your child’s learning experience. However, no student will be denied the opportunity to participate in any school activity due to the inability to pay. Should finances be an issue, please contact the Mr. Vendramin or Ms. Vogstad and trust that this information is shared in confidence. Student Planner: We encourage all students in Grades 1-7 to purchase a School Planner at a cost of $5.00. Included in the planner is our school code of conduct, school calendar and school district information. Planners are an excellent tool for facilitating home/school communication, as well as for developing a students’ organizational skills. Using our school planner is optional and parents are free to purchase their own version of planner. Musical Instruments: Grade 3 and 4 students learn to play the recorder. Students will have the option of purchasing one through our music teacher for $8.00 or receiving one on loan from the school. Also, our Grade 7 students who make the decision to take band either purchase or rent an instrument. Costs vary depending on the instrument. School Supplies: Parents have the option of purchasing their child’s school supplies on their own utilizing the grade supply list (below) or for your convenience you may wish to purchase supplies as a package through CREATIVE CHILDREN Payment is made directly to CREATIVE CHILDREN. Costs for supplies vary based on grade. Bulk orders are done for Kindergarten supplies. The anticipated cost per student is $40.00, but this cost is tentative. Parents have the option of contributing their own supplies to the class. Payment for Kindergarten supplies will be coordinated in September through our Kindergarten teachers. 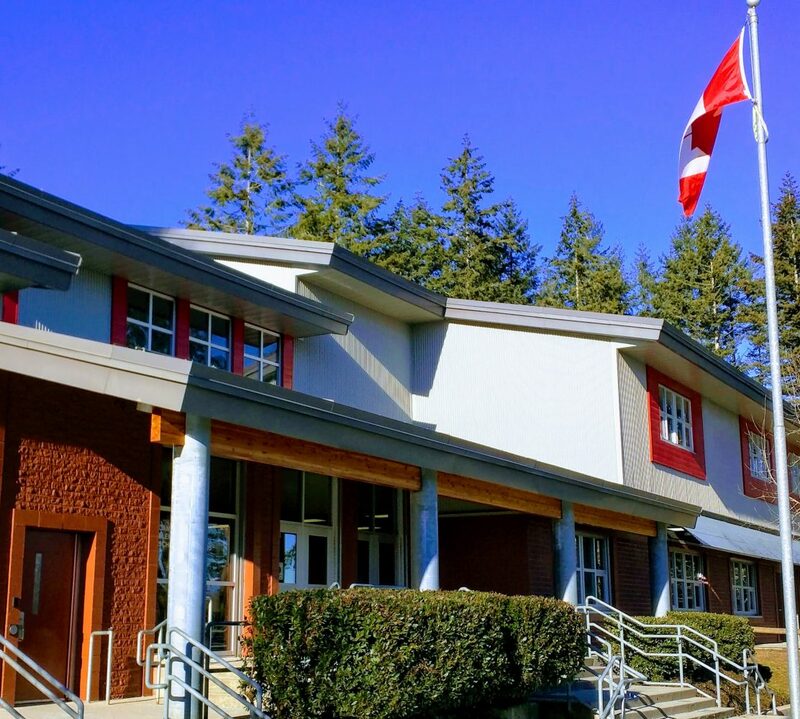 Please do not hesitate to call us at the school if you have any questions: 604-595-4036. 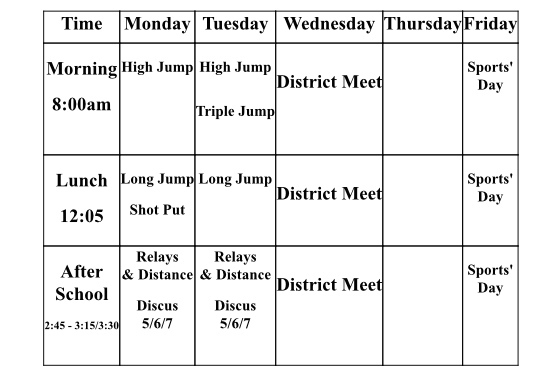 Friday, June 10th will be Sports Day at Cambridge Elementary. Each student has been assigned a Sports Day Team Colour. If you are unsure of your child’s colour, please contact your child’s teacher. Students should dress in as much of their house colours as possible, and should dress appropriately for the weather and activities. They are encouraged to wear sports-themed clothing (team jersey, shorts, socks, hats). Students should wear running shoes, hats, and have sunscreen on. All students should have a water bottle labeled with their name. If it is raining on June 10th, the rain out day will be on Monday, June 13th. IF YOUR CHILD WILL NOT BE ATTENDING SPORTS DAY, PLEASE LET THE OFFICE OR YOUR CHILD’S TEACHER KNOW, THIS WILL HELP WITH PLACING CHILDREN IN THEIR TEAMS. 9:05– Classes to gym for warm up and team spirit building. 9:35-Students are led out to their starting stations, beginning with our K-4 group who follow their sign out to the stations. 9:45-10:30– Students in K-4 will rotate through the stations on the grass field. Feel free to follow your child through the station rotations. Please do not take your child anywhere without informing the supervising teacher. Thank you. Students in Grades 5-7 will rotate through their activities on the grass & gravel fields, the sport courts and the gym. 1:00-Classes proceed to meeting place for afternoon activities. Students will sit in their House Teams. Huckleberries in the outdoor classroom. Students learn that they are edible and delicious. Exciting…safety upgrades coming this summer! We are down to our final three games of the floor hockey season…THE FINALS!!! 17-Kindergarten classes to the Aquarium – 8:30 a.m.- 2:30 p.m.
17-Division 8 and 9 – YMCA swimming – 12:30-2:30 p.m.
20-Kindergarten classes to Goldstone Park – 10:30 a.m. – 2:30 p.m.
21-Divisions 6, 8 and 9 to Crescent Beach – 8:45 a.m. – 1:45 p.m.
21-Divisions 12-15 to Fort Langley 8:45 a.m. – 2:30 p.m.
22-Year-End Assembly – 9:00 a.m.